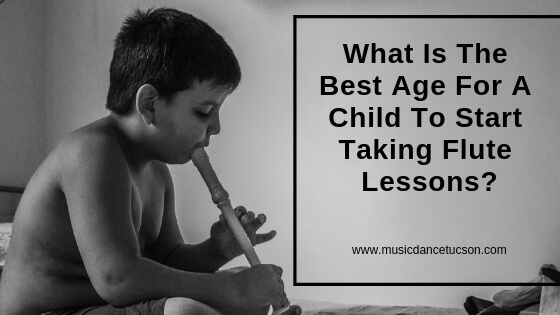 What Is The Best Age For A Child To Start Taking Flute Lessons? A lot of parents are eager to send their children to various musical instrument lessons as early as they can. Many believe that starting children young when it comes to music gives them an advantage over other aspiring musicians. As a result, most parents send their children to learn how to play musical instruments at an early age of 3 or 4. However, unlike other musical instruments, flutes are relatively hard to learn for a young child. This does not pertain to the difficulty range of the instrument, but to its type and structure. Putting it simply, young learners can find it difficult to play the instruments especially if they cannot reach the keys or blow on the mouthpiece properly. While it’s wise to let your child learn music at an early age, parents are encouraged to consider if the student is physically and academically prepared to begin studying the flute. It is important to consider the physical development of your child before letting them obtain flute lessons. For starters, parents should make sure that the child’s arms and hands are big enough to reach and play various keys on the flute. Furthermore, it is also important to consider if the child’s lungs are developed enough to play the flute, especially since it is a windpipe instrument. Forcing your child to take flute lessons with a complete disregard for these factors, may lower their confidence for they are less likely to play the instrument properly. But, what really is the best age for a young learner to start taking flute lessons? At the earliest, parents are encouraged to send their children to flute lessons once they reach the age of 7 to 8. This is the perfect age range for a child to start learning how to play the flute. This ensures that the student is matured and developed enough to learn various techniques that can effectively help them play the instrument well. Is Your Kid Ready for Ballet Classes? Do Voice Lessons Really Help?